Here I’m going to explain you how to lock WhatsApp with password both on Android and iOS devices. WhatsApp is one of the most popular messaging apps with over 1 billion active monthly users. The messaging app comes with amazing features allowing users to communicate via chat, audio, voice and video calls. As a result, this has placed users at the mercy of unauthorized users. All one needs to do is steal or access your phone without your permission and they have a chance of accessing your chats, photos, videos and contacts on WhatsApp. The good news is that you can finally protect yourself with third party apps especially if you are using an Android phone. For iPhone users, they have a chance of hiding WhatsApp making it inaccessible to unauthorized users. Here are a few examples of Android third party security apps that will help you protect WhatsApp. If you have used a desktop PC before, you probably are familiar with the Norton suite of security application. The software was developed to provide protection to desktop PCs from malwares, Trojans and viruses. When smartphones and tablets were introduced into the market, a need arose that required the protection of smartphone users. The end product was an app that allows users to set a numeric PIN or draw a pattern in order to lock access to apps. To make the user experience pleasant, the app is designed with modern Android programming standards. The app is quite simple to use. All you need to do is download it from Google’s Play Store, allow it to install and launch it. Navigate to Android settings in your smartphone and authorize Norton App lock under accessibility to control your smartphone. You will be required to provide a valid email address which will allow you to retrieve your PIN in case your phone is stolen or you lose it. Once you are done, tap on continue and proceed to launch the app itself. To protect WhatsApp, locate it using the browser function. Tap on the padlock beside the app and you are done. Every time you try to launch WhatsApp, you will have to input a PIN or draw a pattern. Avast is a renowned security software provider that has been providing solutions to desktop PCs and now, smart devices. The app is available at Google’s Play Store and all you have to do is install and launch the app. The first thing the app will do is perform a system scan. This is done with the goal of identifying the existence of malwares, Trojans or viruses. When system scan is done, proceed to tap on tool. 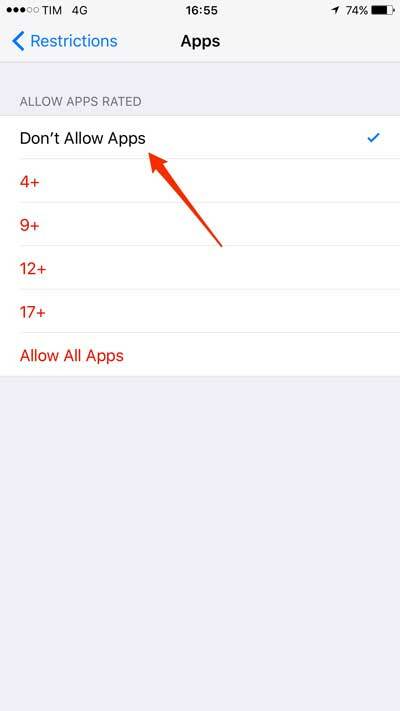 Select app locking and follow the guide. At the end, you will be able to set a PIN or password. Select WhatsApp from the list of apps and secure it. If you want to protect WhatsApp on your iPhone, there are two choices – iApplock and Password for WhatsApp. Password for WhatsApp is an app developed to prevent access to your WhatsApp messages. The bad news is that you have to jailbreak your iPhone. It works on iPhones, iPod touch and iPads. iAppLock is a utility that is made available under Cydia tweak store. The app is designed to provide protection to your apps including WhatsApp. This is done to ensure that your privacy is not breached. The first thing you need to do for the app to work is to jailbreak your iPhone. There are several jailbreaking softwares online and here is an article you can learn about jailbreaking. Download the app via Cydia and let the system install it. Once it’s installed, launch the app and select WhatsApp from the list of apps. Click on Save and input your PIN to protect your app. There are other alternatives like BioLockDown and BioProtect which work with Touch ID. Problem is they are paid apps. Your iPhone does come with a few security features that eliminate the need for you to jailbreak it. 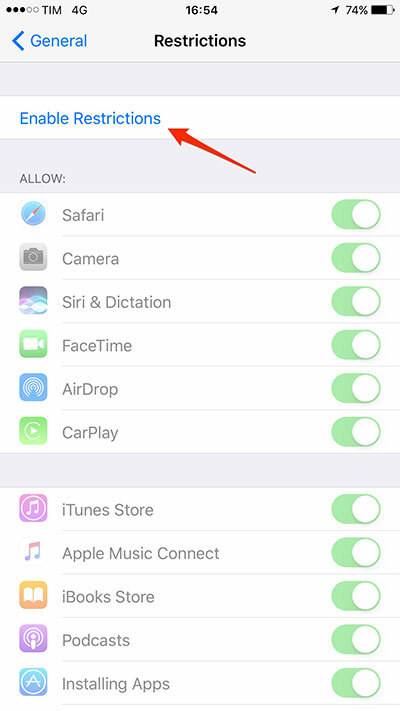 If you navigate to Settings > General > Restrictions you will find the feature that allows you to hide all applications downloaded from the App Store. To hide conversations from WhatsApp main screen, swipe a conversation or tap on Archive. As a WhatsApp user, it is wise not to take the issue of privacy very lightly. You need to protect yourself against unauthorized users. For example you have a photo that you would like to show your friend. When you hand them your phone and leave the room for a few minutes, they will not only view all photos in your gallery but they will end up accessing your WhatsApp among other messaging apps. To protect yourself, you can download apps like Norton App Lock or Avast Mobile security for Android. If you are using an iPhone or iPod Touch, download Password for WhatsApp or iApplock. These apps will prevent any breach of privacy by unauthorized users.